This wall mounted 12 plate tree is especially useful “mate” in kitchens on board ships, RV's, barside, or the private home. 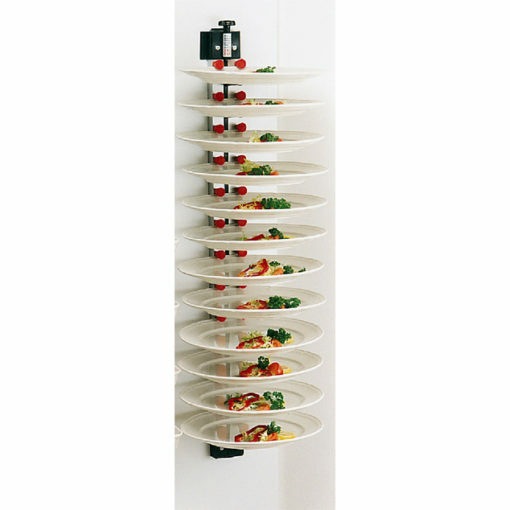 This wall mounted 12 plate rack would be a useful addition for any space in the kitchen where you often need a third hand to hold your plates. 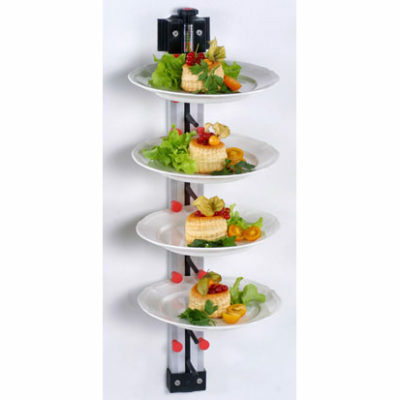 This 12 plate stacker is a true helper in your kitchen when entertaining or in the industrial kitchen, bar, or pizzeria. 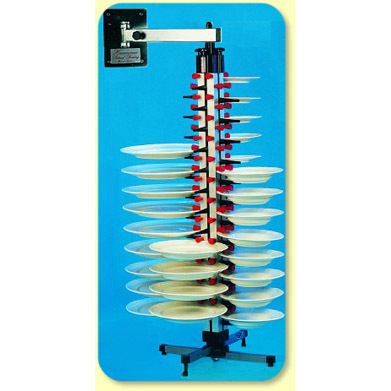 This 12-plate wall model can be permanently attached to the wall but can also be attached to a stand-alone holder which can then be hung on the wall. This allows you to use this unit both as a table and as a wall unit. The smallest Plate-Mates can be your biggest helpers! 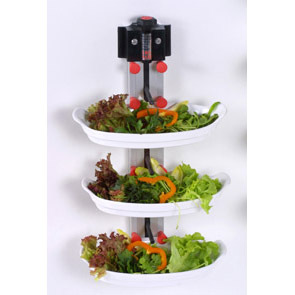 This model can easily accommodate pre-plated salads, desserts, or main course, for a small, social, or business dinner.